Planning officers took the early stage LDP2 out into communities during an earlier stage of consultation following which the current proposed plan was finalised. The communities of South Lanarkshire will have the chance to comment on their council’s vision for the continued growth and regeneration of the area. The proposed South Lanarkshire Local Development Plan 2 is available to view and make comment on from Thursday (July 26). Following committee approval in May, the proposed plan is the latest stage in the replacement of the existing South Lanarkshire Local Development Plan which has formed the policy basis of the council’s decision-making process on planning applications since it was adopted in June 2015. Proposed new development sites and local nature reserves have been mapped. And following on from guidelines in the current Local Plan, consideration continues to be given to the land use issues arising from the impact of climate change by seeking to ensure developments are sustainably located; maximise the use of vacant and derelict land; utilise renewable energy resources and are as carbon neutral as possible whilst avoiding areas of flood risk. 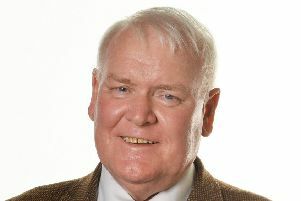 Planning committee chairman Councillor Alistair Fulton said: “The South Lanarkshire Local Development Plan 2 promotes the continued growth and regeneration of South Lanarkshire, whilst at the same time protecting and enhancing the environment. “The plan builds on the first South Lanarkshire Local Development Plan by continuing with the programme of house building in the Community Growth Areas and encouraging the development of Masterplan and Development Framework sites. The South Lanarkshire Local Development Plan 2 will be available for public consultation at www.southlanarkshire.gov.uk. Anyone who wants to make comment on the documents should follow the links to the online consultation portal on Local Development Plan 2. Hard copies of the report can be inspected in local libraries as well as the planning office in Montrose House, Hamilton. Following consultation, a series of reports will be prepared for Directorate for Planning and Environmental Appeals with a public inquiry due to be held early in 2019.